Corporations and government agencies need to find a solution to a problem that shows no signs of slowing: exponential data growth. The database is the backbone of today's business. From public sectors to high tech industries, the infrastructure of an enterprise is built on data and the data functions including the storage, transaction, and analytics. Storing, managing and processing growing volumes of data is not only cost prohibitive but largely unfeasible as many data centers are simply out of space and out of shape. From mega enterprises to small business shops, there is an urgency for placing qualified database workers to take care of their data and keep the business going and growing. That's a good news in IT. Job growth and career perspectives are rosy and promising in the database field. For IT professionals, the work of database is becoming ever a big deal. No matter what you do in IT, a certain level of work knowledge and hands-on skill in database is definitely required. For those who are choosing the career path in IT, the database route one of the best. The industry needs database professionals to tackle the data challenges. Organizations across sectors demand new strategies that manage daily database operations and security, reduce maintenance burden, eliminate sunk costs, leverage the efficiencies of modern storage, and tap business intelligence from the big data. For a successful database implementation, the first step is to choose the database system for the business. Similarly, an individual worker needs to choose the right database for skill development in order to maximize professional value and career advancement. The following list reveals the most powerful database systems which empower today's enterprise businesses around the world. How is the List Compiled and Ranked? The top 10+ database software list was compiled based on recent information from multiple resources and references. These resources include IT research and portals (Gartner, IT Business Edge, UBM), IT job sites (Dice, CareerBuilder, Indeed, Monster), social media (LinkedIn), and database company websites. Although we looked at market share and general popularity of database companies and their database products, this list was not ranked by database company's size, sales, or database product user base. Instead, this list concerns more about the values of skills and experience of specific database technology. Therefore, this list may be used for considering career perspectives on jobs with the database systems. In addition to this master list presented below, This article also provides a list of database ranking by popularity and skill demands along with a graphical presentation. The popularity/demands ranking is a little different from the master list. The reason of such difference is explained. Oracle Enterprise Server, designed for grid computing cloud-enabled, is the best relational database management system (RDBMS). 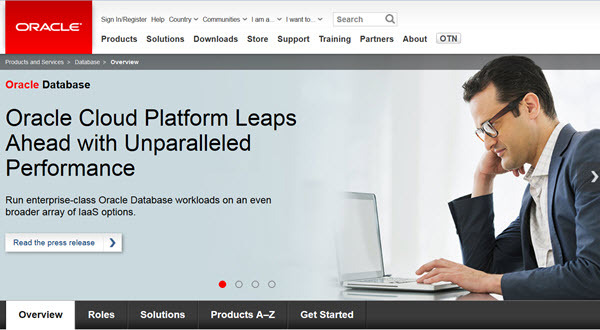 Oracle RDBMS software runs on multiple platforms, Windows, Linux, and various UNIX operations. The latest version of Oracle database is 12c, in which the "c" is standing for cloud computing. In the IT industry, Oracle is "THE DATABASE." If you want to become a database administrator (DBA), you are better off being an Oracle DBA. Once you break into the Oracle world, you are all set in your IT career. Oracle has the unshakeable market share in the database field with big corporations, government agencies, and mission-critical data centers running on Oracle database in the Real Application Cluster (RAC) environment. Job opportunities with Oracle database are always there. Microsoft SQL Server is a comprehensive database software platform providing enterprise-class data management and integrated business intelligence (BI) tools. Even though as a late starter in the database realm, Microsoft has made strategic investments to push its SQL Server to the frontline in direct competition with Oracle and DB2 RDBMS systems. 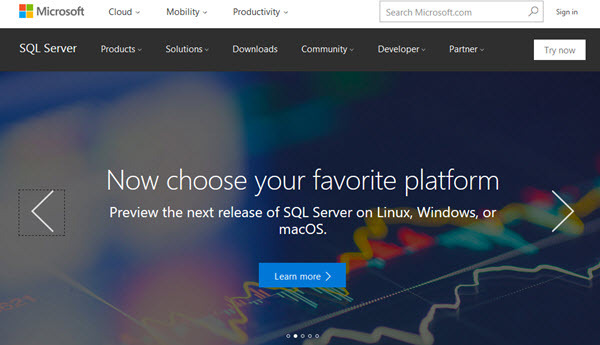 As the foundation of Microsoft's comprehensive data platform, SQL Server delivers breakthrough performance for mission-critical applications, using in-memory technologies, faster insights from any data to any user in familiar tools like Excel, and a resilient platform for building, deploying, and managing solutions that span on-premises and cloud. Microsoft offers deep discounts to education sectors including public schools, universities, and public agencies in education, which helped SQL Server gain user base significantly. IBM DB2 is among the oldest RDBMS software systems. DB2 IBM's flagship database management software that delivers a flexible and cost-effective database platform to build robust on-demand business applications. The DB2 Universal Database (UDB) Enterprise Server Edition (ESE) is one of the best RDBMS applications. IBM positions DB2 as the database of choice for robust, enterprise-wide solutions handling high-volume workloads. DB2 is optimized to deliver industry-leading performance while lowering costs. DB2 is used by many big insurance companies, for example, VSP, the leading vision insurance company, run its entire business on DB2. While DB2 is not likely to overperform Oracle in market share, it is definitely secured in the top position with two giants (Oracle and Microsoft). The Teradata website once showed an interesting tagline, - "When the world gets smaller, the data gets bigger." Of course, Teradata database is proposed as the answer to the challenges of data growing bigger. 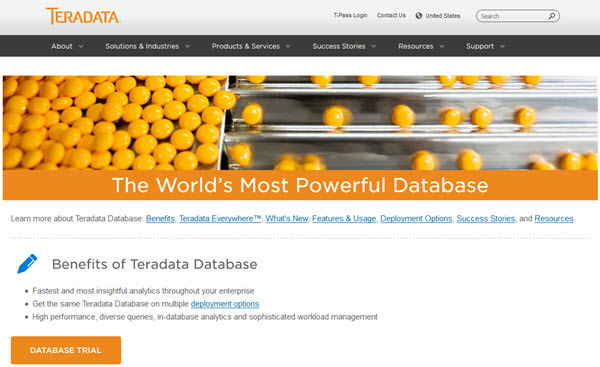 Teradata is the most powerful Very Large Database (VLDB) system. However, nowadays the concept of VLDB has shifted to Big Data which focuses on the analytic value of data for business decision-making. Accordingly, Teradata offers "the most robust analytics for the toughest challenges" in the big data realm. Many large-scale data warehousing and business intelligence systems are powered by Teradata. Teradata database is often used by big retailers and telecom enterprises. Teradata offers some unique features: the intelligent optimizer to process queries and filter data to efficiently respond to any request, applying that query power to dynamic data without adding columns to your table to accept new data. MySQL, a portable and relatively smaller RDBMS software, an open source database. It is the most popular database for web-based business applications, and it is moving to enterprise level. MySQL is the most popular RDBMS database for internet systems such as e-commerce and dynamic website. If you run your own blog with blogging or content management software such as Wordpress, Drupal, or Joomla, you are likely using MySQL. In fact, 28% of the web uses WordPress, and MySQL is the data engine behind the scene. Many of the world's largest and fastest-growing organizations including Facebook, Google, Adobe, Alcatel Lucent, and Zappos rely on MySQL to save time and money powering their high-volume Web sites, business-critical systems, and packaged software. 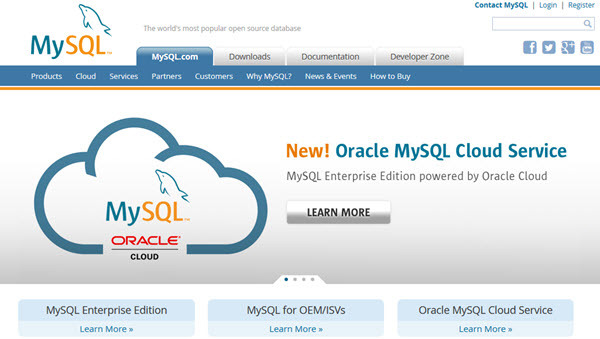 MySQL is now in Oracle's hands but still maintains its independence. PostgreSQL, an enterprise level open source database, goes beyond the RDBMS boundary. It is a very powerful object-relational database system. On the relational side, PostgreSQL supports full RDBMS functionalities in ANSI-SQL standards. 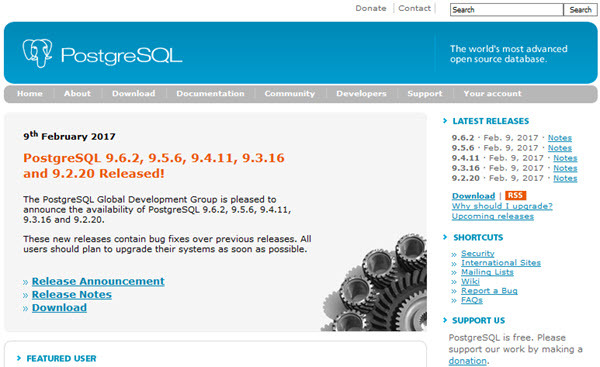 In addition, PostgreSQL offers object-oriented features such as table inheritance, rules systems, and database events. Table inheritance puts an object-oriented slant on table creation, allowing database designers to derive new tables from other tables, treating them as base classes. Both single and multiple inheritances are supported in PostgreSQL. It also supports storage of binary large objects, including pictures, sounds, or video. 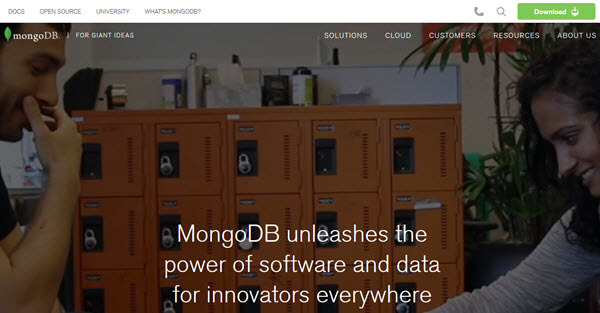 MongoDB is not a typical RDBMS software. Instead, it is NoSQL. The relational database, traditional RDBMS, was not designed to cope with the scale and agility challenges that face modern applications, nor was it built to take advantage of the commodity storage and processing power available today. Relational databases were not designed to cope with the scale and agility challenges that face modern applications, nor were they built to take advantage of the commodity storage and processing power available today. MongoDB, along with other NoSQL players, supports the development with massive volumes of new, rapidly changing data types — structured, semi-structured, unstructured and polymorphic data. If you still remember Sybase, it may be sad to see Sybase is losing its identity. SAP Adaptive Server Enterprise (ASE), formerly Sybase, is a high-performance, mission-critical database management system that gives customers an operational advantage by lowering costs and risks. Sybase used to be one of the big 3 database giants (with Oracle and DB2) dominating the database field, but Sybase lost its momentum over time, and eventually was sold out to SAP really cheap. Sybase database was widely used in the banking industry, such as Wells Fargo Bank. It is unclear what would be the future outlook of SAP/Sybase database product since it depends on how SAP plan to position the ASE. 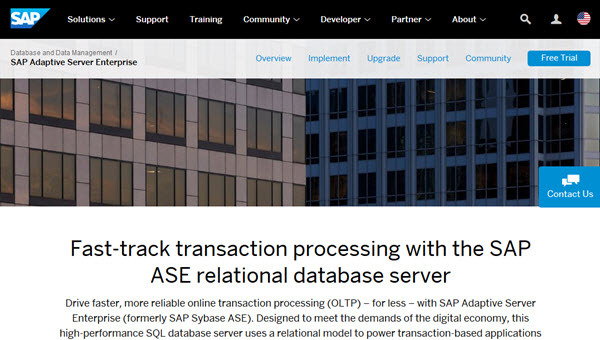 Currently, SAP Adaptive Server Enterprise (SAP Sybase ASE) is marketed as the affordable relational database management system (RDBMS) designed for high-performance transaction-based applications involving massive volumes of data – and thousands of concurrent users. In short, SAP ASE/Sybase database is still a significant player, but its future is unclear. 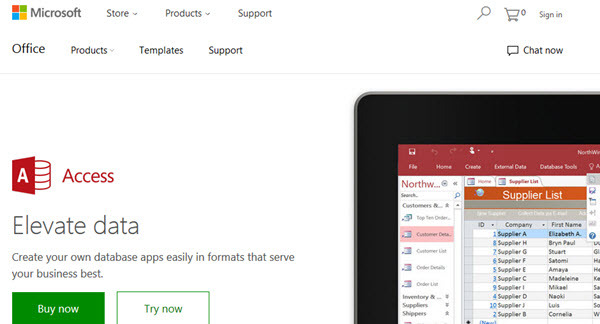 Microsoft Access is the most used desktop database application in Windows. Coming with the Microsoft Office suite, Access is cheap and accessible from most Windows laptops and workstations. Although mainly considered as a desktop database, Access becomes ever popular database for internet systems, - many e-commerce and content management systems are powered by Access database running on the Microsoft's IIS web server platform. Skills of Microsoft Access are always in demand, although the pay may not be great. Informix, now under IBM, once was the most promising object-oriented database. It had been speculated that the object-oriented database would one day replace the traditional RDBMS (relational database management system), which means Infomix could have taken over Oracle in the IT world, but it had never happened. Thus as a falling star, Infomix was acquired by IBM. The latest version of Infomix has built with some new features, such as NoSQL capability, which unleashes the way to combine unstructured and structured data in a smart way, bringing NoSQL to the SQL database. As all businesses are becoming data-driven, every company is a data company. 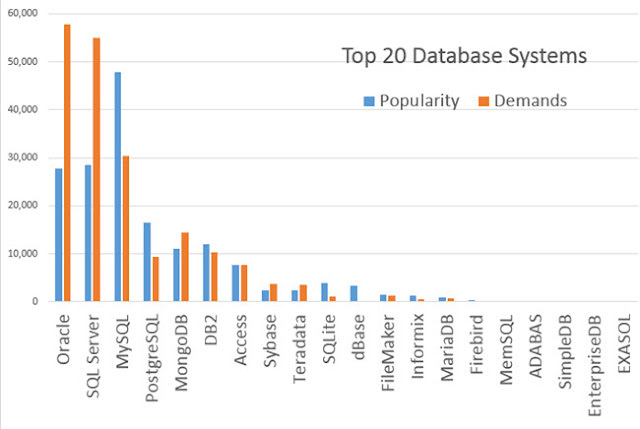 The top 10 database systems listed above are proven power players in the database field. The skills are in high-demand and the jobs are plenty. Skills and experience built with the above database software can ensure long-term success and advancement in IT careers. As the database field continues to heat up, new vendors and products emerge to offer new features and better services. A significant trend is an expansion from the traditional RDBMS. Beyond the relational database, there are object-relational, NoSQL, embedded, and in-memory databases. 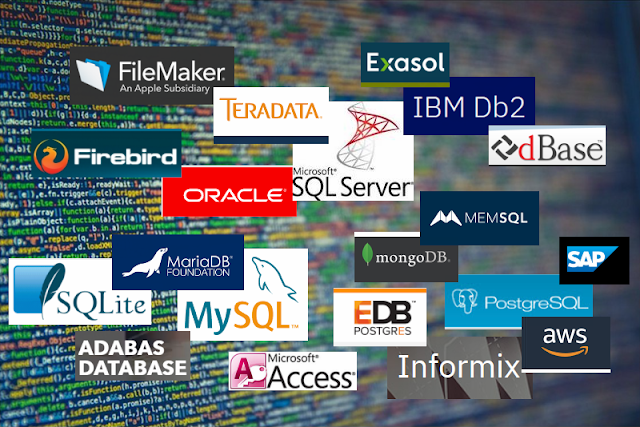 To give you a better perspective of database technologies and the job market, another 10 database systems are listed continuously below. There are old players who still hang around despite competitive challenges (Filemaker, ADABAS, dBASE), and there are rising stars with uncertain future (SQLite, MemSQL, EXASOL, etc.). MariaDB is an open source RDBMS database Server software created by the original developers of MySQL. This RDBMS software is managed by The MariaDB Foundation which supports continuity and open collaboration in the MariaDB ecosystem guarantees to stay open source. Such guarantee was the response to the acquisition of MySQL by Oracle. Thus no wonder, MariaDB competes with MySQL head to head. MariaDB does not have closed source modules like the ones that can be found in MySQL Enterprise Edition. In fact, all the closed source features in MySQL 5.5 Enterprise Edition are found in the MariaDB open source version. The official statement says that SQLite is a self-contained, high-reliability, embedded, full-featured, public-domain, SQL database engine. It is an all-purpose open source database software free to use without cost or restrictions. 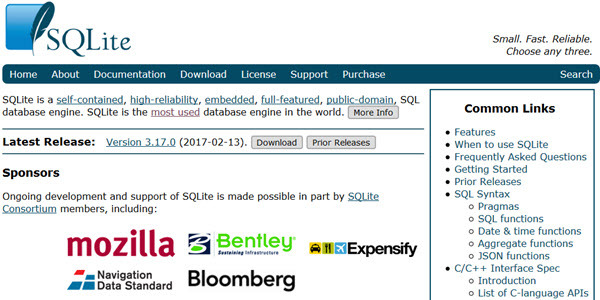 SQLite also claims that it is the most used database engine in the world. The wideness of usage is due to its embedding feature. SQLite is a popular database engine choice on memory constrained gadgets such as cell phones, PDAs, and MP3 players. Considering how many mobile devices are in people's hands, you can figure out the popularity of SQLite. FileMaker was the #1-selling easy-to-use database software for Windows and Mac OS. However, on the rise of Microsoft Access, FileMaker has lost its competitive edge in the Windows environment, which forced FileMaker strategically build strength on the Mac platform. 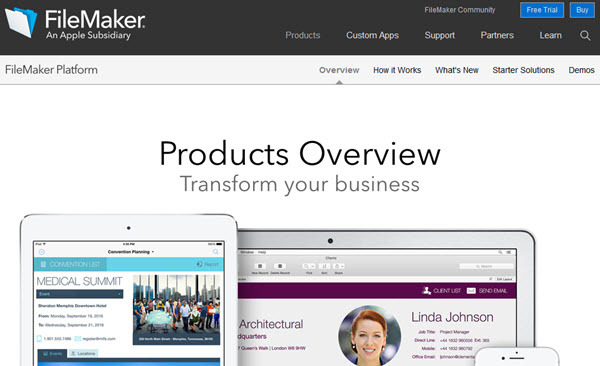 FileMaker, Inc., is now an Apple subsidiary. FileMaker's future may be secured with the support by the strength of Apple products. FileMaker Server maximizes the performance of shared databases while increasing security. MemSQL is a high-performance, in-memory database that combines the horizontal scalability of distributed systems with the familiarity of SQL. MemSQL features an in-memory row store and a disk-based column store in a single database, achieving extremely low latency execution while allowing for data growth. 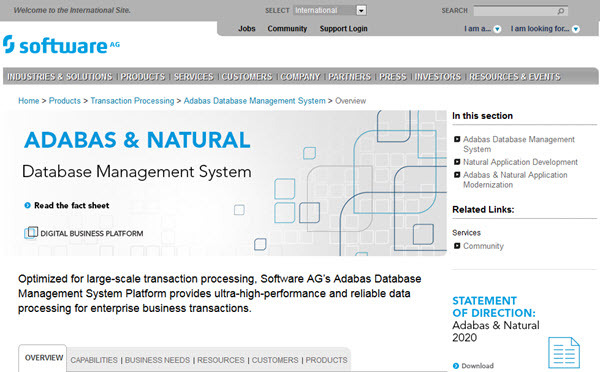 Software AG is the maker of Adabas. Adabas once was the most powerful mainframe database. It now runs on multiple platforms and provides superior reliability and performance. Software AG says that Adabas is the comprehensive and scalable enterprise database management system optimized for big data and designed for reliability, high performance and low total cost of ownership. Adabas is available for mainframe, Linux, UNIX and Windows platforms. 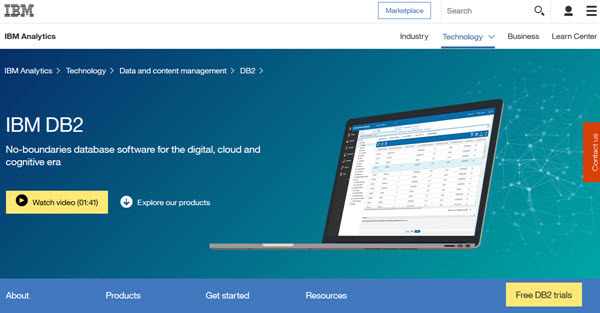 ADABAS is integrated with NATURAL, - Software AG's application development and deployment environment known for ease of-use, cross-platform portability, and developer productivity. If you still remember dBase, you are damn old. 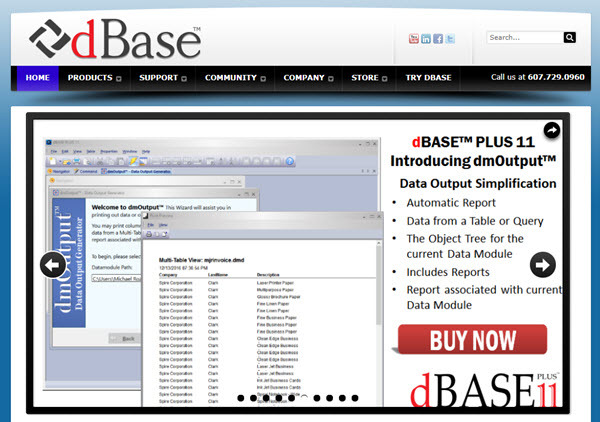 dBase was born in 1979, and had been the most popular desktop database for quite a long period. Believe it or not, it is still around, and the latest version dBASE Plus 11.3 was just released. Surprisingly, dBASE CLASSIC is back (http://dbaseclassic.com/). The classic version was one of the best-selling dBASE for MS-DOS; it is based on the original dBASE V for DOS product released by Borland back in 1994. There are still dBase jobs offered; what die-hard market. 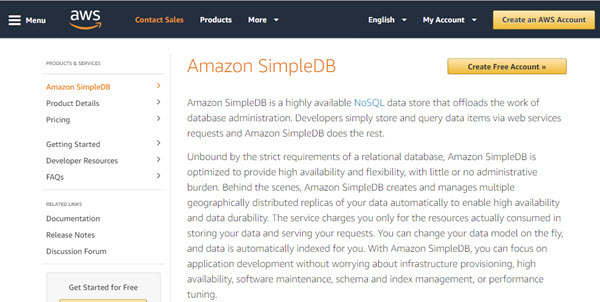 Amazon SimpleDB is a highly available NoSQL data store that offloads the work of database administration. Developers simply store and query data items via web services requests and Amazon SimpleDB does the rest. SimpleDB is neither a desktop application or a database server. 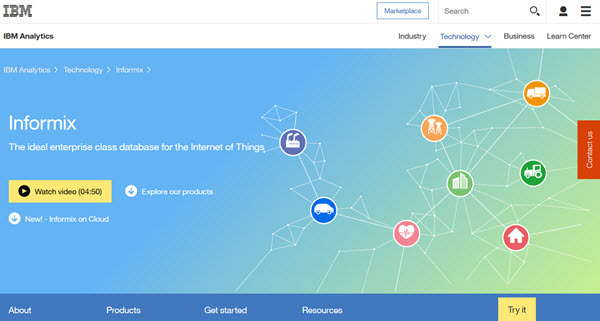 It is a cloud-based web service, a type of SaaS (Software as a Service). The SaaS is getting more popular. It seems there are increasing SimpleDB skill demands. Firebird is a relational database (RDBMS) offering many ANSI SQL standard features. 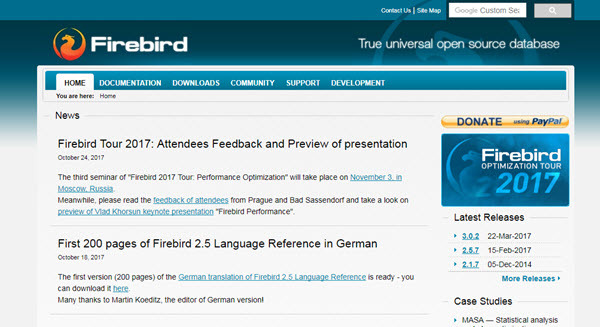 As a "true universal open source database" Firebird free and cross-platform running on Linux, Windows, and a variety of Unix platforms. Firebird offers excellent concurrency, high performance, and powerful language support for stored procedures and triggers. It has been used in production systems, under a variety of names, since 1981. EnterpriseDB (EDB) is a general-purpose RDBMS software system commercialized from the open source database PostgreSQL. EnterpriseDB has recently made inroads by proclaiming that its product delivers Oracle compatibility features at a much lower price-point. 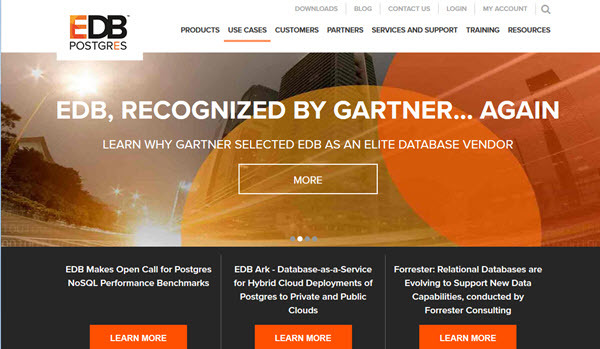 What EnterpriseDB offers is an extended database platform called EDB Postgres. The platform enables integration across different databases but it also supports combining unstructured data from NoSQL solutions with corporate, transactional data in structured, relational systems. EXASOL database is a relational in-memory database management system (DBMS) that is optimized for BI, reporting and deep-dive analytics. According to the 2014 TPC-H benchmark tests, it is the world’s fastest analytic database. Dramatically speed up your Tableau visualizations with EXASOL with the plug-and-play turbo solution for Tableau. Combining the enormous processing power of EXASOL and Tableau’s ad hoc visual data discovery puts the power of real-time big data in the hands of every user. The following table lists database systems ranked by popularity and skill demands, roughly reflecting job opportunities with each database's experience and skillset. The popularity measure is the Google search results averaged from 5 random searches in October 2017. The search term is the database name plus "database", for instance, Oracle database, MySQL database, MariaDB, etc. The measure unit is 1,000. The popularity measure could represent the brand awareness and user base for each database. The skill demands measure is the sum of search results from job search portals Dice.com and LinkedIn searched in October 2017. The measure is not the number of jobs available, but the counts of database names as keywords in job descriptions, which could represent the demands of such skills and experience. The overall measure considers both popularity and skill demands, which could be referenced as an index of job opportunities. The following graph plots the popularity and skill demands for all 20 database systems in the ranked order. You may notice the difference between this rank and the list in previous paragraphs. This is because the popularity/demands rank is only focused on employability, meaning the possibility of getting a job with the specific database duty. The master list above was adjusted with other factors including salary, job security, and long-term career advancements. The database filed is dynamic and continuously changing. You must settle your database career in the right position for long-term prosperity. Here I'd give the recommendations for serious database professionals: build up your experience on one of the top three enterprise database servers, - Oracle, SQL Server, and DB2; get the core database job, - database administrator (DBA); and continue to develop your relational database (RDBMS) skills.